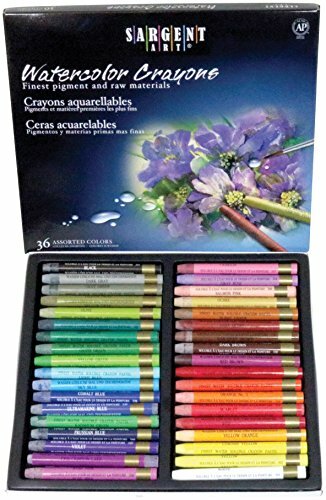 Sargent Art 36ct watercolor crayons are an artist quality set with a wide range of colors. The set includes 36 different color crayons, each provides rich color and excellent water solubility. Just add water to transform your drawing into a watercolor painting! use a wet brush on the drawing or even Dip the Crayon in water for the watercolor effect. Perfect for drawing, coloring, painting and craft or hobbies.